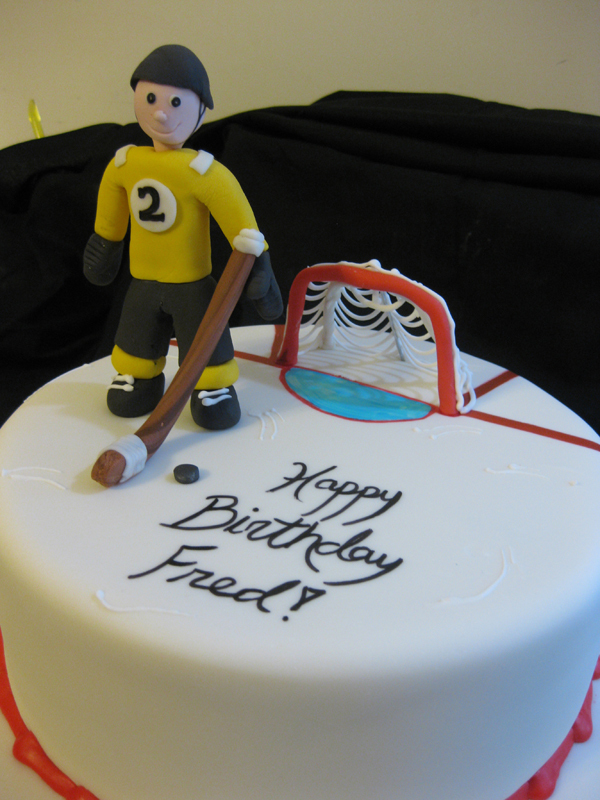 Lately we’ve had many requests for hockey-themed cakes along with one figure skating cake. In case you have hockey fever and can’t make it to a Bruin’s game please enjoy the below photos. What you can’t tell from these photographs is that each of these ice-themed cakes were pearl dusted with shimmer as to appear more Shiny and akin to actual ice. Yoda playing hockey was the design idea of a 7 year-old hockey player who is a big fan of Star Wars. 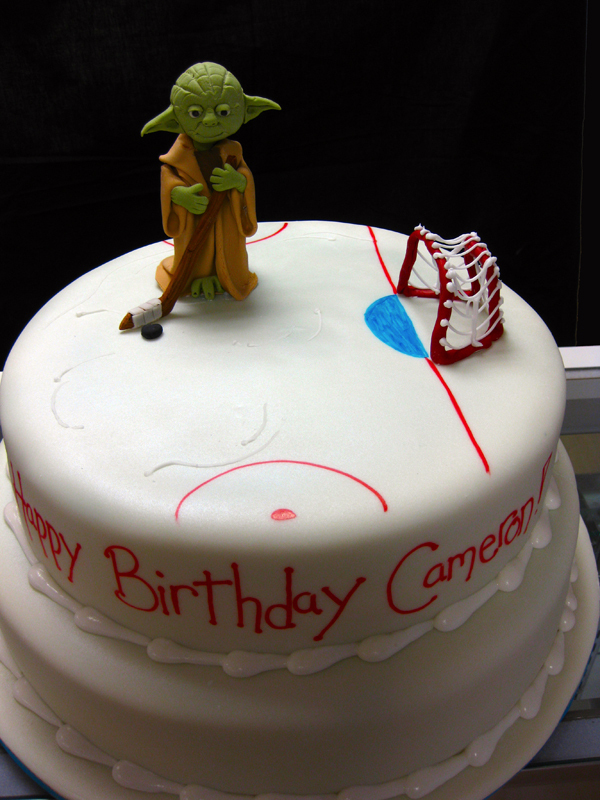 This cake was alot of fun, it’s not everyday you get to see Yoda playing hockey. For a 13yr-old figure skater, a replica in sugar of her in her dress preforming one of her spins. The figurine is not shown on the cake as it was placed on top of the cake upon arrival. Her cake was a pearl-dusted light blue and white swirled ice rink with matching yellow accents. Sooo cute Amanda! Can’t wait to see your next sculpted creation! Wow Amanda these are awesome! Sure thing! All our cakes are custom designed and thus are custom priced. 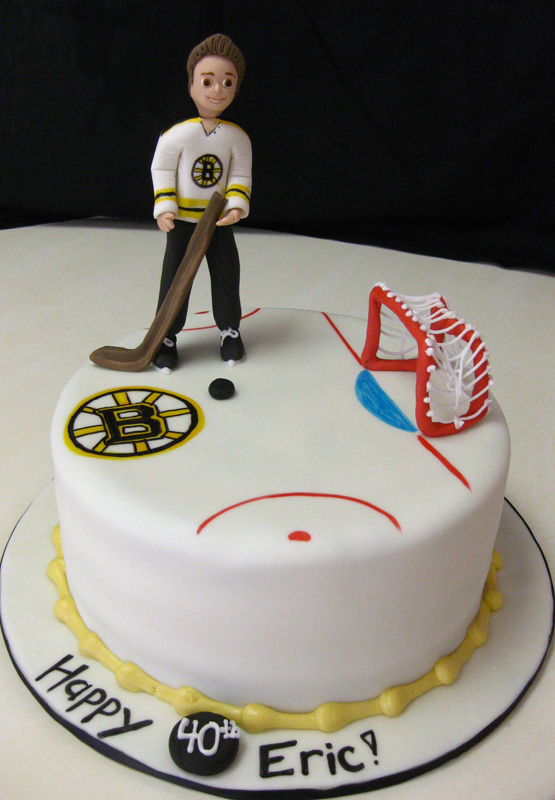 If you give us a call or stop by the store we can work with your design ideas and budget to come up with a custom designed hockey cake for you!